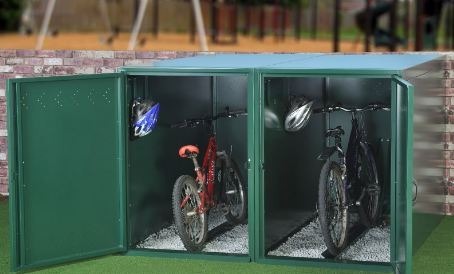 Designed as a space saving storage unit, the single bike locker is great if you are short of space outside and need to keep your bike locked up and out of sight. 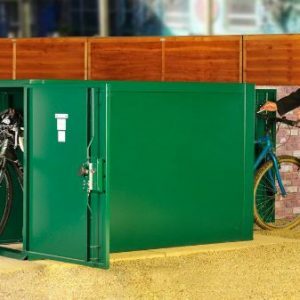 The bike locker is accessed from the end so the width of the unit is kept to a minimum – great for down the side of a house or flat. 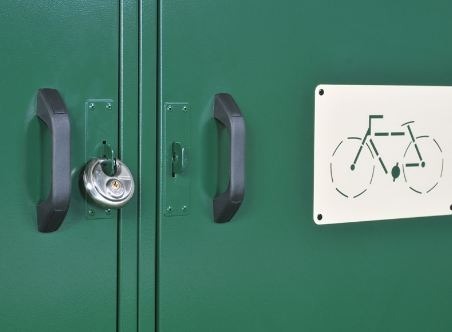 Please note unless specified at time of order the bike locker door will be right handed. 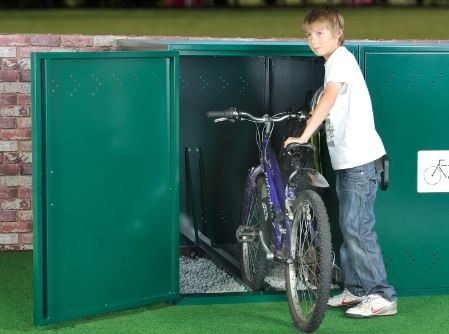 The bike locker is built from thick, weather proof steel panels with large single door access, suitable for both adult and children’s bikes. Fitted with a hasp suitable for your own padlock. Inside a guide rail holds your bike upright and acts as a 2nd locking point for increased security. Finally, a set of hooks are included so you can store your helmet and bag with your bike. 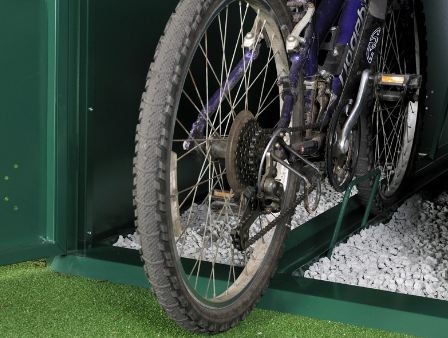 As with all our products these all metal Bike Lockers are made from strong, thick, galvanised (weather proof) steel. At 99kg in weight (that’s over 15 stone) this bike locker is a substantial unit. Supplied with a 10 Year Warranty – all of our units are built to last. 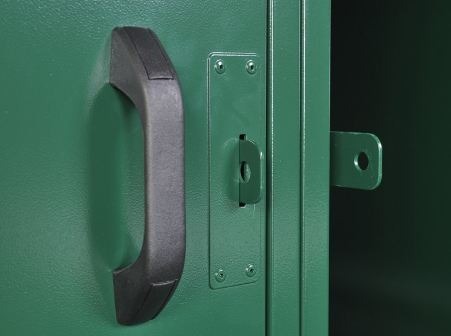 Fitted with a hasp suitable for padlocks – ideal for multi person or public use. 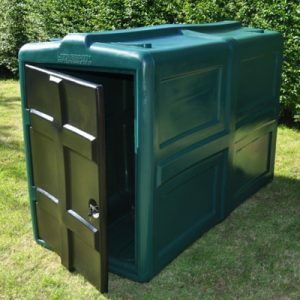 Large single door access – making it easy to wheel your bike in and out. Multiple units bolt together for additional strength and security.  Integral wheel guide for holding your bike in place – Also doubles as an additional lock point. This unit is supplied with two kit hooks for hanging helmets and clothes with your bike.